This article does not necessarily reflect the views of RI’s academic management and should not be used as a substitute for formal academic counselling. At the pinnacle of Raffles Institution’s pursuit of academic eminence, two notable academic programmes exist, dedicated to students with exceptional interest within certain areas of study. Namely, the Mathematics and Science Raffles Academy is catered for students with a strong passion and aptitude for any one of the Mathematics or Science subjects, while the Humanities equivalent of this Raffles Academy, the Humanities Programme, provides a stimulating environment for those keen on a more discussion-oriented learning experience in the Arts subjects. Contrary to being exclusive coteries of students sourced from only the Raffles Programme (RP), these programmes also eagerly accept bright students from other walks of life, namely the O-Level track. This article will aim to address some of the common concerns that JAEs have about these two special programmes and shed more light on the experience of being a JAE student under them. The RAs aim to provide more opportunities for such students to explore their interests and gain exposure in the field of their choice. Pull-out lectures and guided investigative projects are some of such opportunities which are made available for students in a RA class. There are three main differences between a RA class and a non-RA class in terms of academic pursuit. Firstly, RA classes attend some pull-out lectures for their subject, during which they will cover additional, out of syllabus information that is not covered during H2 lectures. Such lectures allow lessons to proceed at a faster pace and for students to learn about interesting topics that they would otherwise not have had the opportunity to touch on in curriculum time. Secondly, the students in the RA classes are generally in the top 10% of the cohort, although there are always exceptions. As such, the considerable pressure on individuals to perform well academically is a factor for consideration when making the decision to apply for RA. Thirdly, students in RA classes have more opportunities to enter Science and Mathematics competitions compared to their non-RA friends as such opportunities will be often presented by teachers to students in the RA class. That said, it is still entirely possible for students in non-RA classes to participate in the aforementioned competitions if they have sufficient motivation and passion for the project. How do JAEs enter the Maths and Science RAs? Notably, there is no limit to the number of RAs that JAEs can apply for (although the most common number is two), but all applicants will be required to sit for a written test during the Orientation period. Each test is approximately an hour-long and consists of either a mixture of MCQs and structured questions, or is entirely made up of structured questions, depending on the subject. Students are also encouraged to bring along photocopies of their O-Level and Prelims result sheets, as well as other certificates of achievement from previous Science- and Maths-related activities for submission. Entry into the Raffles Academy class for JAEs is based purely on merit, rather than on fulfilling a numerical cap for students. To increase your chances of doing well in the test, you can read up on the A-Level syllabus for your chosen subject from textbooks and guides as the questions are mostly set based on the A-level syllabus. At least, they were for the Biology entrance test from last year. 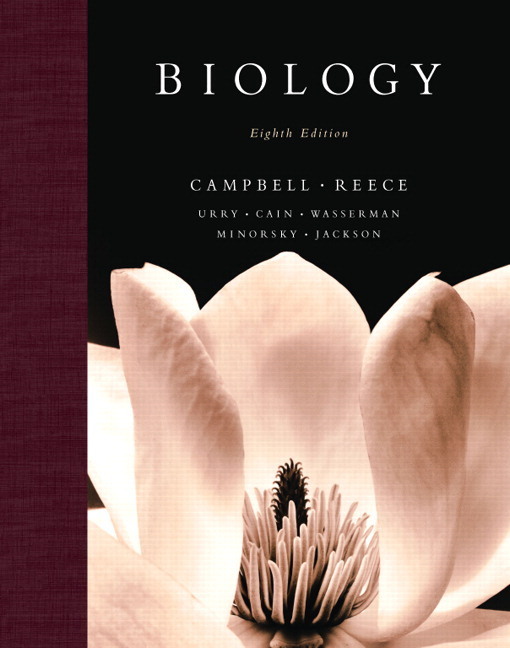 Most recommended materials can be found in POPULAR; the holy grail for Biology happens to be Campbell & Reece, a heavy brick of a textbook. Most of my classmates swear by it and I do believe that, if you’ve read it cover to cover twice through, you’ll be all set for the test. The Chemistry counterpart of Campbell & Reece would be Ramsden’s textbook. The accepted number of JAE students varies year-to-year, as entry is determined meritocratically by one’s performance on the admission test. All successful test-takers will be admitted, regardless of whether, for example, four or ten students pass the test in a particular year. In my year, a classroom-full’s worth of students took the entrance test for the Biology RA, and just two of us made it through. Each of the remaining three RAs had more or less the same entrance rates. Will JAEs be able to fit in? It may take a while for you to find good friends in the class, as most of your Raffles Programme (RP) classmates will have already known each other for a long time. However, most of the other students in the Science RAs are not as stuck-up, contrary to popular opinion. Newcomer status in Raffles will not get in the way of finding an accepting circle of friends eventually, so long as you reciprocate people’s friendliness. In my experience, most of my classmates were genuinely nice people who would be willing to befriend you as long as you had an open mind. It also won’t hurt that students in RA all have a common passion for their chosen subject, which can bring them closer. If you are genuinely interested in the subject you are applying for then we would encourage you to go ahead. The RAs would allow you to explore such interests and provide valuable opportunities for you to learn more. However, it is not advisable to enter the RA for purely the privileges that would be afforded to you, without true enthusiasm backing you up as you could find yourself stuck in a learning environment you would become tired of. Learning about topics that are out of the syllabus could become more like a chore than a pleasure if you do not already enjoy the subject and, at the end of the day, the certification would not be worth the heartache and budding resentment that results from an extended curriculum not tailored to your interests. If conversations about international politics, great literature, human relationships, or anything ostensibly humanities-related interest you, look no further than the Raffles Humanities Programme (HP). As a programme catered to passionate humanities students, you will find yourself in a cosy and intellectually stimulating environment dedicated to the study of what exactly makes us human. To that end, while Humanities and the Arts Stream share a common syllabus, what differentiates the Humanities are the cultural outings that are frequently organized for students within. One particular highlight is also Combined Civics, a weekly ‘mini-assembly’, where the Humanities Programme teachers invite notable individuals ranging from international laywers, to professional coders to speak to the students about a variety of topics beyond the classroom. How do JAEs enter HP? JAEs have two opportunities to enter HP: first in February through RI’s internal selection, and again after the selection for the recipients of the Humanities Scholarship (HSP) later in April. The administrative processes of both stay similar: you have to submit an essay in response to one of the the questions you can find on the MOE’s site detailing the HSP, in addition to academic and CCA portfolios, and the relevant certifications pertaining to your achievements. You will then have to attend an interview for both rounds to determine your personal interest and aptitude for the Humanities. It’s important to note that those who have passed RI’s internal selection may not necessarily participate in MOE’s round of selection for the scholarship; it is thus possible for someone within RHP to not have the scholarship. Will JAE students struggle academically compared to RP students? This is a common myth that isn’t true at all. JAE students in HP often perform just as well as any RP students would. What remains a difference is simply the content and styles of education they would have received in secondary school. For example, O-Level History students would be well versed in the rise of Stalin, Hitler, and the Cold War– of which the last topic resurfaces as a topic in the A-Level syllabus– while RP students would conversely have studied earlier historical events like the French Revolution. RP students would also have had more opportunities and time to try their hand at research and investigative studies during their third and final years in Secondary school, while JAEs would have had devoted more time to rigorous practice with the content for their O-Level examinations. So while their skills may be different, both parties can learn from each other’s strengths as they very clearly have different experiences with regards to their academic endeavours. Are JAEs able to fit in? JAE students would initially join a mainstream Arts class before receiving the results of their HP application. However, they would only be spending a few days or less with this class, and would join HP during the lull of introductory lectures held across the school. The co-author’s class, 16A01B, in one of HP’s earlier cultural outings to Shakespeare In The Park. RP students would have only spent the same few days with their HP class, so JAE students entering in February need not worry about their entrance interrupting any cohesive, perfect class dynamic. However, it is understandable that students entering in April may feel distressed as regular classes have been ongoing for more than 2 months. But many JAEs in HP assure that “members of HP are friendly and open to forming new friendships as long as you’re willing to do the same as well.” (Qiu Kexin, 16A13A). Past the potentially bumpy induction into HP, the social lives of JAEs will be effectively similar to that of the RP students. JAEs might still find it more comfortable to interact with their fellow JAEs as they would find their common experience of taking the O-Levels, or of being educated in a different community extremely relatable. Nevertheless, our JAEs also advise applicants not to be afraid to step out of their social comfort zones: “Coming from a different background can in fact help one befriend those around them, as one can have unique and interesting experiences that would make for effective icebreakers when talking to others.” (Vera Sun, 16A01B). Joining the preeminent within the already eminent as a new-coming JAE may sound daunting, and it does indeed bring a unique set of challenges, but the rewards of joining such programmes would in totality outshine any initial trepidation. Positive experiences will await those who keep an open mind and can step out of their comfort zones; so if you have nothing to lose, go ahead and send in an application to the Student Affairs Centre. You never know where it might get you.